Den Hartog Industries is excited to introduce more additions to our Open Top Tank line! 5 additional sizes of Vertical Open Top Containment and 2 additional sizes of Open Top Cone Bottom tanks will now offer you more options with our popular Bolt-On Lid style. Designed for indoor or outdoor stationary applications, all tanks are furnished with a removable crowned top, fastened to a flange around the top of the tank. 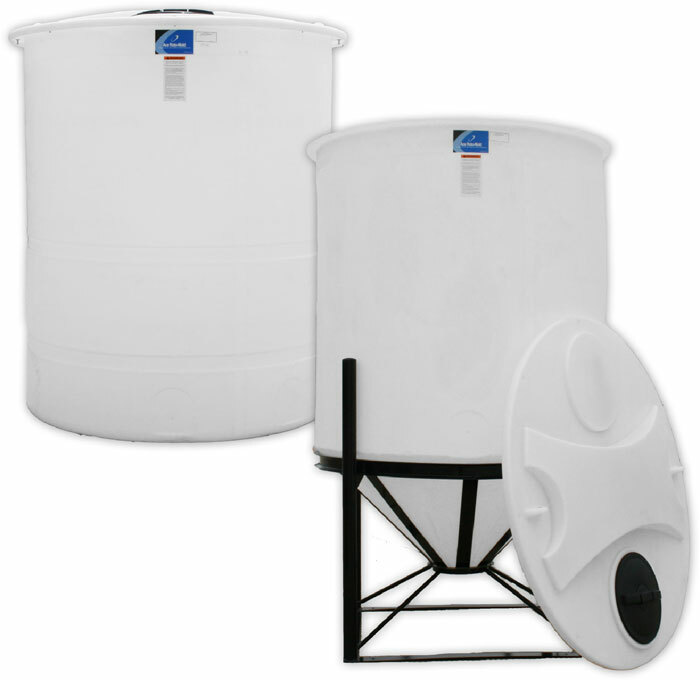 The Open Top Cone Bottom tanks require the use of our existing 64” stands for support. Visit our Open Top Containment Tank page as well as our Open Top Cone Bottom Tank page for product specifications.